Eric Lampaert is a comedian and actor that has appeared on BBC2, BBC3, Ch4, Ch5, E4, ITV2, HBO including shows such as Life’s Too Short, Cardinal Burns and The Midnight Beast. Eric is also in Dizzee Rascal’s music video ‘Bassline Junkie’ and Scouting For Girls’ ‘Love How It Hurts’ respective music videos as well as Sky’s advert with Bruce Willis. Eric studied at École Internationale de Théâtre Jacques Lecoq in Paris & Middlesex University in London. 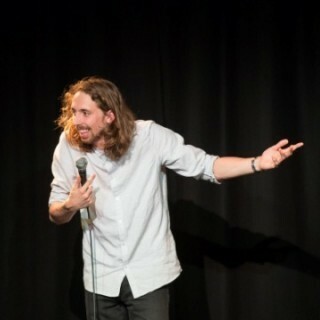 Eric also won the Latitude Comedy Competition (2010), the Laughing Horse Big Comedy Competition (2008), was a Raindance Short Film Nominee 2011 and named a T4 Rising Star of 2012.